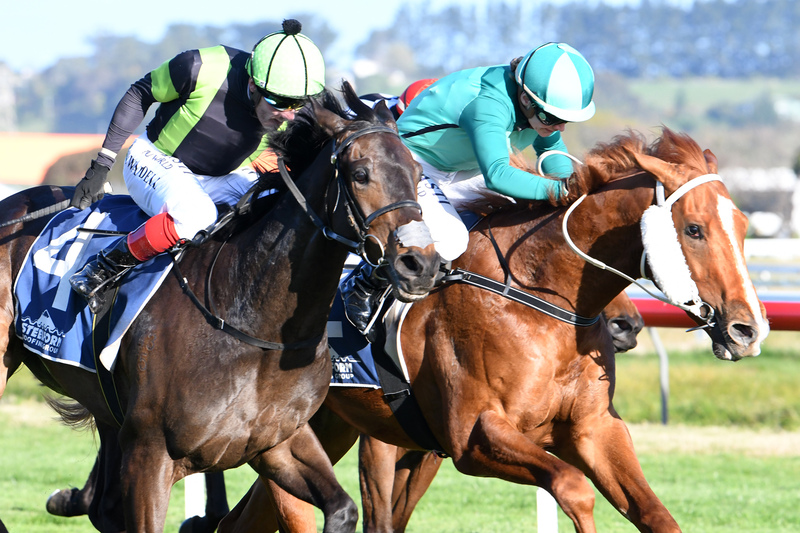 Trainer Stephen Marsh doubled his pleasure at Wanganui on Saturday when Bobby Dazzler prevailed in a tooth and nail struggle to win the Listed HS Dyke Wanganui Guineas (1340m). The Cambridge conditioner had started his day in the best possible way when he took out the first race on the card with promising juvenile Sai Fah. Looking to add a second victory from his four-strong team at the meeting, Marsh was confident of a good showing from Bobby Dazzler despite the Zed colt coming in to the day’s feature event off a lacklustre showing at Te Rapa. Ridden by Danielle Johnson, Bobby Dazzler repaid that faith with a gritty performance as he held out fellow Cambridge rival Notabadidea by a bare nose after the pair went to war over the final 150m of the contest. To complicate matters the protest siren went once contestants had returned to the birdcage with the runner-up alleging interference in the concluding stages. “I said to Danielle when they came out into the birdcage that as far as types go, he looks the best,” Marsh said. Marsh had been prepared to forgive the colt’s last start run on a tricky Te Rapa track after he had impressed with a gritty front-running performance at Tauranga when winning on debut. “We were obviously a little bit disappointed last start,” he said. “There are a few problems there and he probably didn’t like that. He had the side winkers on (today) as he’s such a laid-back customer. Bobby Dazzler races in the familiar colours of his part-owners, the Carter siblings John, Mark and Rachael who bred him under their Jomara Bloodstock banner. The win completed a stellar week for the trio who also bred and share in the ownership of last Saturday’s Gr.1 Memsie Stakes (1400m) winner, Humidor.